100 minutes of PE per week?! On top of Common Core State Standards: reading workshop, writing workshop, math workshop, social studies, science, computer lab, library, orchestra, and art?! Good grief; our poor kids SIT way too long per day!! But how to fit it ALL in, along with traditional outdoor PE times?! Yoga! 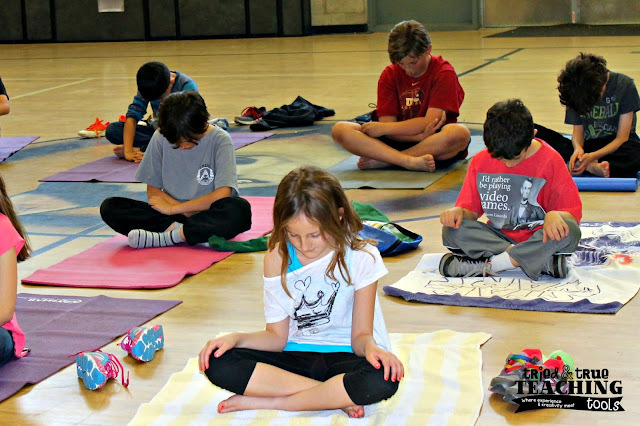 Provides students healthy ways to express and balance their emotions. Promotes a more relaxed, comfortable state of being - the perfect state for teaching and learning. Brings students into the present moment – the most basic requirement for learning. Encourages community and connectedness within the classroom. Helps to create an atmosphere of confidence, enthusiasm and non-competitiveness where everyone can succeed. Provides opportunities for beneficial motor breaks throughout the day. Eases anxiety and tension (such as pre-test or performance jitters). Enhances focus, concentration, comprehension and memory. Provides opportunities for reflection, patience and insight, reducing impulsivity and reactivity. Supports social and emotional learning. Wakes up sluggish minds and creativity as needed. Enhances organizational and communication skills. Improves posture, assisting students to sit comfortably for long periods. Enhances motor skills and balance. Improves mind/body awareness and connection. Encourages respect for oneself and others. Creates a calm, harmonious classroom. This year my class was privileged to have a former 4th grade student of mine (& certified yoga instructor), Cary (now in his late 20's!!) volunteer to lead us in a yoga practice. The first session lasted only a few minutes, as my kids were giggly, wiggly, and unsure of the peaceful calm. They quickly grew to embrace their own practice, eagerly anticipating each session. We learned a basic sun salutation flow routine. 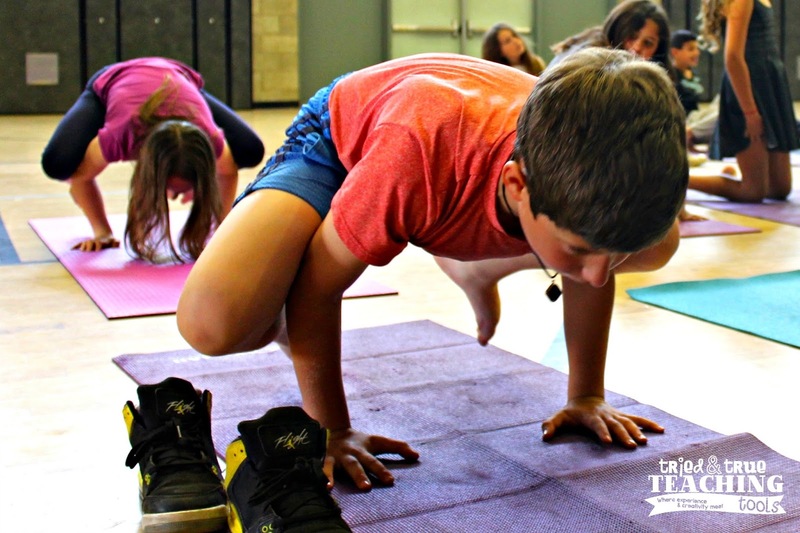 We worked on balance poses, strength poses, and learned to listen to & be respectful of our bodies and the space around us. Even my most active kids would calm down, listening to Cary's soothing voice and instructions. Sometimes there was a conflict in our schedule, so if Cary could not come, I would teach the class. 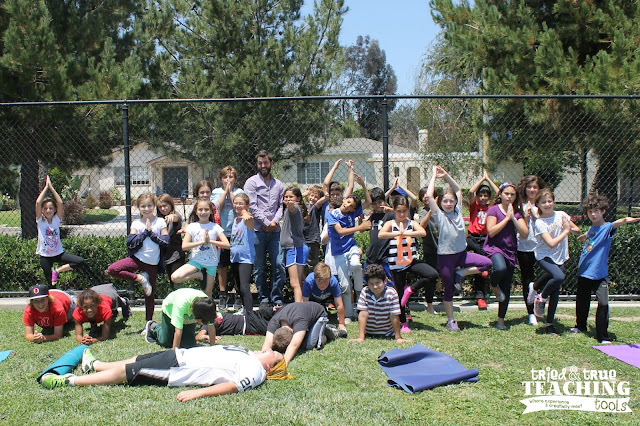 (Although my smart-alecky kids would ask, "Are we doing fake yoga today?") 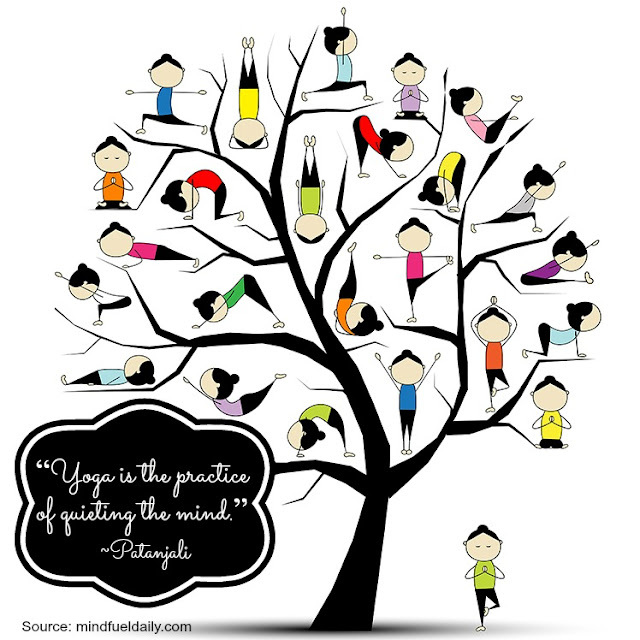 Yoga4Classrooms has a terrific set of yoga cards with pictures that explain each pose. (Toward the end of the school year, I would pass out the cards and have the kids teach their classmates & me!) 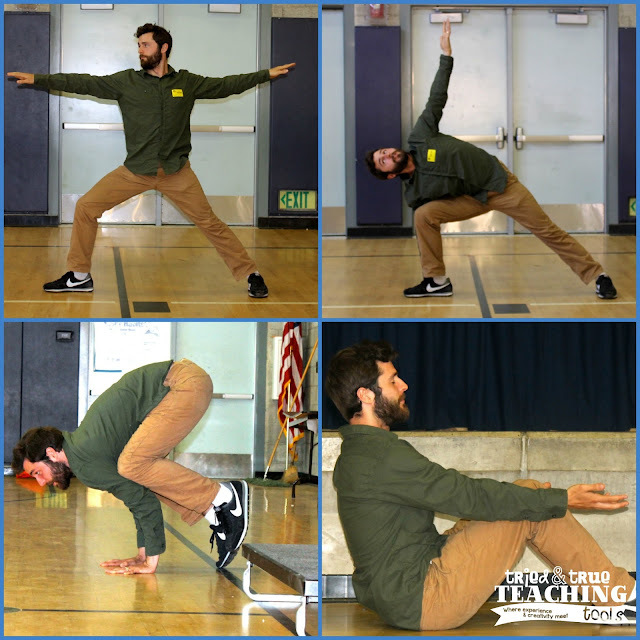 And there are many Youtube videos to help guide, such as this silent 6:23 minute video when your class just needs a little stretch break. By the end of the year, we were practicing for 40 minutes at a time! 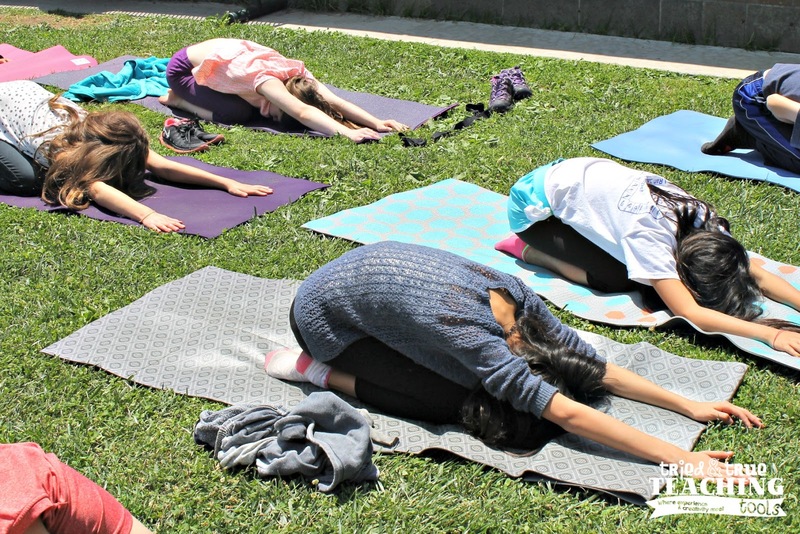 Not only is yoga a fabulous workout for your students, but we teachers often forget to stretch, breathe, and focus ourselves!! Yoga benefits not only your students, but yourself as well! 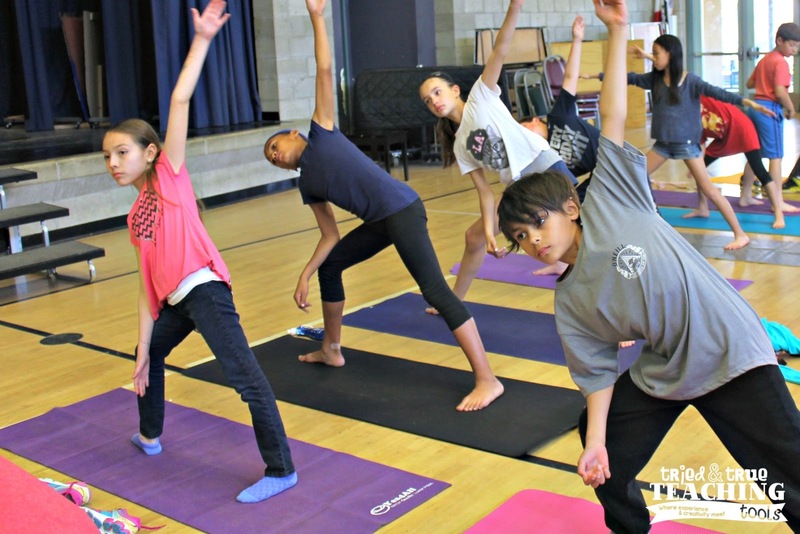 What alternative forms of physical activity do you do with your class? 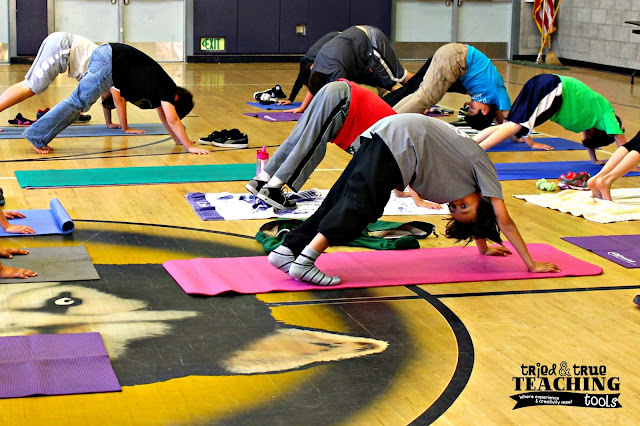 This looks so neat and fun, I tried a little with my class last year and they loved it (kept asking for more yoga)!